Here are a few practical ideas for exploring the Easter story with your children or grandchildren. The Jesus Storybook Bible divides up this powerfully written Easter story into 3 parts, perfect to read, enjoy and discuss over Easter. You can watch the 5 minute animated videos on YouTube if you haven’t got the book. 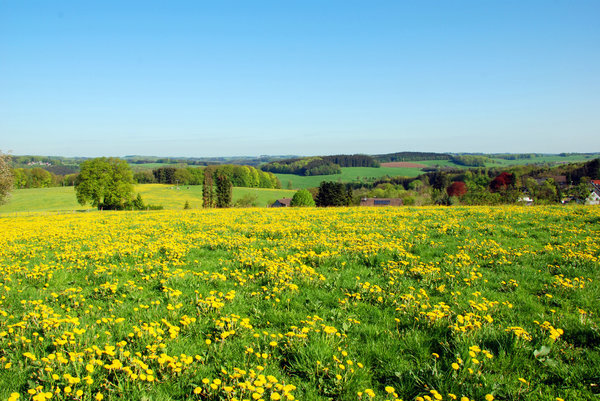 Who doesn’t love a spring walk? There is so much around us signifying new beginnings and new life, it’s the perfect opportunity to point our children to our creator and give thanks to Him. You can buy this book or the brilliant activity and colouring book here. 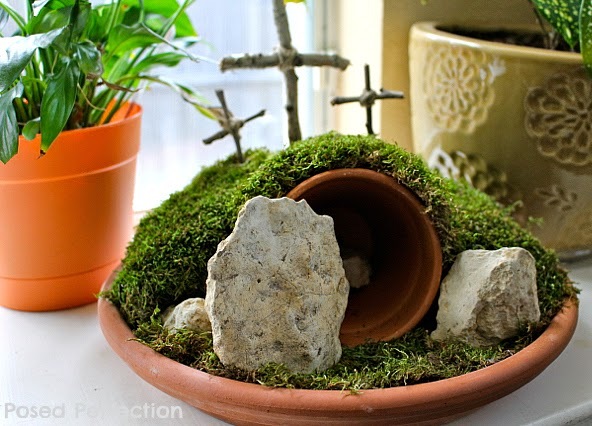 Making an Easter garden is a lovely activity to do with children of all ages and can be as simple or complicated as you like! Generally, it is made on a small tray or plate and uses moss, broken egg shells, pebbles, an empty flower pot for the tomb, soil, twigs and anything else you can easily find to make the Garden. As long as it includes a tomb with a stone in front of it and a cross, you’ve got it covered! If you’re feeling creative, a Resurrection Tree is a wonderful way to talk about the events of Holy Week (starting with Palm Sunday and going through to Easter Sunday). 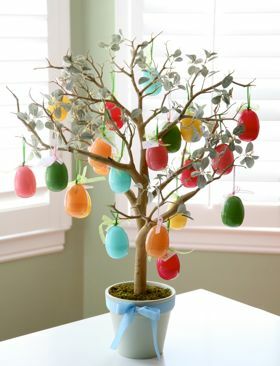 Collect some branches and each day hang a decoration/drawing/symbol that represents an aspect of the Easter story (e.g. donkey, palm branches, chalice, crown of thorns, hammer and nails, cross, spear, rooster (Peter’s denial), money bag/ coins (Judas betrayal). You can also hang some paper-maché eggs on the tree to symbolise new life. Treasuring God in Our Traditions by Noel Piper is a warm and practical book that discusses the value of Christ-centred traditions and engaging family experiences to draw our children to God. Many of the best traditions involve food! So here are some foodie ideas for sharing with one another and inspiring discussions around the meaning of Easter. 2. Place pecans in sandwich bag and let children beat them with the wooden spoon to break into small pieces. Explain that after Jesus was arrested, the Roman soldiers beat him. Read John 19:1-3. 3. Let each child smell the vinegar. Put 1 tsp. vinegar into mixing bowl. Explain that when Jesus was thirsty on the cross he was given vinegar to drink. Read John 19:28-30. 4. Add egg whites to vinegar. Eggs represent life. Explain that Jesus gave His life to give us life. Read John 10:10-11. 6. So far the ingredients are not very appetizing. Add 1 cup of sugar. Explain that the sweetest part of the story is that Jesus died because He loves us. He wants us to know and belong to Him. Read Ps. 34:8 and John 3:16. 7. Beat with a mixer on high speed for 12 to 15 minutes until stiff peaks are formed. Explain that the colour white represents the purity in God’s eyes of those whose sins have been cleansed by Jesus. Read Isaiah. 1:18 and John 3:1-3. 8. Fold in broken nuts. Drop teaspoons onto greaseproof paper on a baking tray. Explain that each mound represents the rocky tomb where Jesus’ body was laid. Read Matt. 27:57-60. 9. Put the tray in the oven, close the door and turn the oven OFF. Give each child a piece of tape and seal the oven door. Explain that Jesus’ tomb was sealed. Read Matt.27:65-66. 10. GO TO BED! Explain that they may feel sad to leave the cookies in the oven overnight. Jesus’ followers were in despair when the tomb was sealed. Read John 16:20 and 22. 11. On Easter morning, open the oven and give everyone a cookie. Notice the cracked surface and take a bite. The cookies are hollow! On the first Easter Jesus’ followers were amazed to find the tomb open and empty. 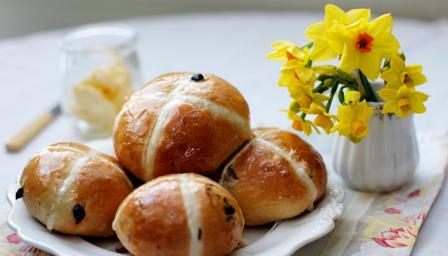 It may sound obvious but a breakfast of hot cross buns is a great opportunity to talk about the meaning of Easter with your family. 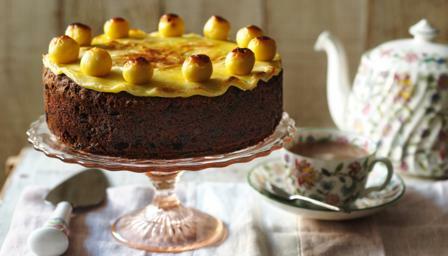 If you enjoy baking and love having a cake for tea on Easter Sunday then this one is a must! This delicious traditional fruit cake is topped with 11 balls of marzipan, representing Jesus’ 11 disciples, minus Judas who betrayed him.